Varna is a major economic, cultural and administrative center and one of the Bulgarian cities with the most dynamic development. 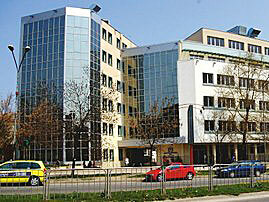 It is one of the main centers of science and culture in Bulgaria. The Technical University of Varna was founded in 1962 under the name of Higher Institute of Mechanical and Electrical Engineering and is the successor to the traditions of academic technical education laid by the State Polytechnic during the period of 1946-1953. In its 39-year history the Technical University of Varna has won recognition as an authoritative Bulgarian research center in science and technology. The Research Institute was established in 1965. 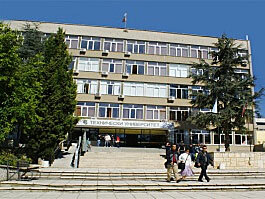 Today the Technical University of Varna is a thriving, vibrant university with a uniqueness and spirit of its own. It has an academic community of more than 500 lecturers and over 7000 students. It is a state university with 8 Faculties and 2 Colleges. Faculities are: Faculty of Electrical Engineering, Faculty of Electronics, Faculty of Computer Systems and Automation, Faculty of Mechanical Engineering, Faculty of Mechanical Engineering and Technology, Faculty of Shipbuilding, Faculty of Marine Sciences and Ecology, Faculty of Law. 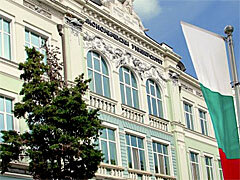 In 1998 higher economic education in Bulgaria marked its 78th birth anniversary, that is, the first apostolic steps were made 78 years ago and we are both proud and glad that Varna Higher School of Commerce initiated the first steps and present-day University of Economics has successfully taken over. The establishment of a modern unit of higher education was both a call of the day and a result of outstanding enthusiasm. More than 40 thousand students have graduated from this establishment since then. University graduates have gained thorough knowledge and skills, guaranteeing their successful performance as experts, managers and businessmen. 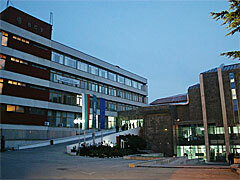 Varna Free University was established as a democratic institution in 1991 with the initiative of distinguished Bulgarian scholars and public figures. As an autonomous private educational structure the University functions in compliance with the Bulgarian constitution and the Higher Education Law. A high appraisal and an unquestionable proof for the quality of the educational process at Varna Free University is the institutional accreditation obtained for a period of the five years. Varna Free University – An Adaptable and Enterprising University Which provides its students with high quality of education, free choice of specialities teaching by competent and highly qualified teaching staff, convert ability on an international scale of the educational process and research work, competitiveness and successful professional realization. Varna Free University is situated in the picturesque resort complex of Golden Sands where nature has combined sea and forest in a unique way. The University campus several buildings, administrative offices medical center and student hostel. The comfortable hostel, the students canteen, the cosy coffee-bars and the local bank office are only part of the conveniences which the University offers its students. 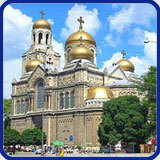 The foundations of the “Nicola Vaptsarov” Naval Academy were laid in 1881, as the first technical school in Bulgaria. The Naval Academy prepares officers for the Navy and for the Merchant Marine according to world-acknowledged standards. Bulgarian Navy officers are well prepared for their duty at sea and they take part successfully in many exercises in close cooperation with NATO’s ships. Officers for the merchant fleet graduated our Naval Academy are captains and ship power-plant engineers in many foreign companies in the USA, England, Japan, France, Germany, Norway, Italy, Greece, Israel, Turkey, Philippines, Arabic countries and many others states. The course of education for the specialities “Navigation”and “Ship Engineering” last for five years. Upon successful completion of the course of studies graduates receive a “M. Sc. Degree”. The training facilities for Deck Officers provide both theoretical and practical training, using state-of-the-art methods and technologies. They comprise a planetarium, a plotting simulator, an ARPA simulator, a ‘Navi-trainer professional 3000’ multipurpose simulator certified by the Marine Safety Agency (UK), an R&D laboratory for practical navigation, a magnetic compass deviation laboratory, and other facilities for training in radio navigation systems, gyrocompasses, echo-sounders and logs, seamanship, ship handling and manoeuvring, rigging, shipping operation, etc. 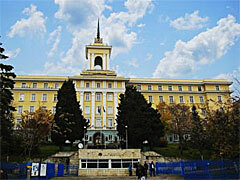 The date of birth of Medical University is considered to be October 1st 1961 as Higher Medical Institute Varna. Nowadays, Medical University “Prof. Dr. Paraskev Stoyanov” – Varna is a modern educational, scientific, diagnostic and therapeutical and consulting center in the North-Eastern region of Bulgaria. The structure of Varna Medical University includes four faculties such as Faculty of Medicine, Faculty of Public Health, Faculty of Dental Medicine and Faculty of Pharmacy as well as Medical College and Department of Foreign Languages, Communications and Sports. The following specialties are taught: medicine, dental medicine, pharmacy, health care management and nursing care. The clinical training of the students, PhD students and postgraduate students is carried out in four big hospitals in the city of Varna such as “St. Marina” University Hospital of Varna, “St. Anna” University Hospital of Varna, Specialized Eye Hospital, and Specialized Hospital of Obstetrics and Gynaecology, which have signed a contract with Varna Medical University and have obtained the necessary accreditation.